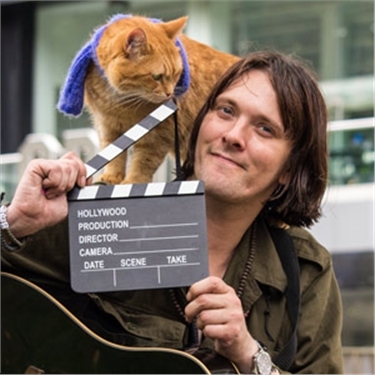 Cat-loving celebrities are donating their ‘paw prints’ to raise funds for leading feline welfare charity, Cats Protection. Susan Boyle, Countdown’s Rachel Riley, London Grammar, Anita Dobson, Kimberley Wyatt and author James Bowen are among the celebrities who have already pledged their support this year. Each celebrity was asked to draw round their hand, decorate it and then sign it to create a unique work of art. All the drawings are being auctioned online on Ebay to raise vital funds for the thousands of unwanted cats in the charity’s care. Spokesperson for Cats Protection, Louise Waters, said: "This is the ninth year we have hosted our Celebrity Paws auction and we’re over the moon with the support we have received so far. The one-of-a-kind paws always prove popular as unusual Christmas presents and it’s a really fun way to raise money to support unwanted cats and kittens across the country. Interested bidders are invited to go to this link to view the full list of paw prints available: www.cats.org.uk/celebrity-paws. The auction ends on 29 November. 1. Photos of the paw prints are available on request from Smoking Gun. 3. Cats Protection is the UK’s leading feline welfare charity and helps 205,000 cats and kittens each year through a national network of 250 volunteer-run branches and 32 adoption centres. 4. Cats Protection's registered charity number is 203644. Cats Protection’s vision is a world where every cat is treated with kindness and an understanding of its needs. 5. Founded as the Cats Protection League in 1927, the charity adopted the name Cats Protection in 1998. We ask that you use the name Cats Protection when referring to the charity in all published material.